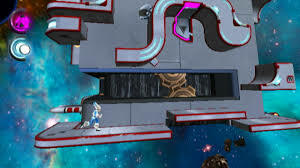 Aya And The Cubes of Life is a platformer that was released on the WiiWare service in 2012 by Object Vision Software. Aya And The Cubes of Light features both 2D and 3D platforming and is only held back by awful floaty controls. Aya has many cube like levels with traps and enemies that are very creative and fun to play. The levels look beautiful and so do the enemies and characters I was surprised by what Object Vision Software managed to accomplish with the WiiWares' 40 MB cap! I also really enjoyed the futuristic music and sounds in Aya And The Cubes of Light, but the game didn't impress me nearly as much in this regard as the games' visual style did. The biggest issue that I have with Aya And The Cubes of Light is the floaty and unresponsive controls which make it so hard to avoid traps and enemies making it a source of unnecessary frustration. The camera also does not help as it will sometimes be facing in a direction that does not allow you to see where you are supposed to go. There are so many things that Aya And The Cubes of Light does right that I still recommend it to anyone that enjoys the puzzle genre, but Aya can be a source of frustration with lousy controls and poor camera displays. I liked this game, but I agree that the controls are very annoying. Terrific review FTW! 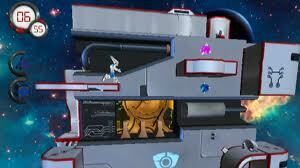 The controls are the reason why I never got into this game or finished it. I'd give this game the same score. I don't think it's a matter of the controls being unresponsive as much as it is the floaty physics that make the game frustrating at times. Once you're more familiar with the game's physic's, it does become easier to control AYA. The camera angles can be tricky at times, and so are the puzzles. This is such a hard game, but I think that makes the game even more enjoyable! I never did end up finishing this game. Perhaps I will return to it and finish the game someday. I beat this fun game a long time ago. I heard that the controls in this game were quite bad so I decided to pass on this game. This is one of many games that I still need to beat, but don't have the time to accomplish the task. @Trinity33 wrote: I heard that the controls in this game were quite bad so I decided to pass on this game. The physics of this game take sometime to get used to, but the controls are manageable. There's definitely a strong learning curve, though.